The world was immeasurably blessed on September 4, 1923 when Margaret Virginia Goolsby came to live amongst us. She was a perpetual learner, appreciator of the arts, and a true global citizen. She traveled worldwide, reaching out to all while encouraging others to learn with her along the way. Her passing on October 25, 2012 will be deeply felt by all. 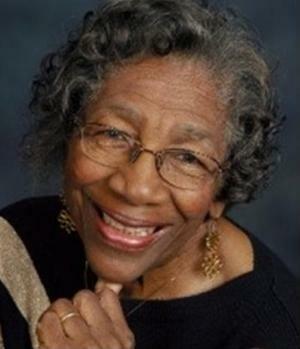 As an avid educator and specialist in developing early childhood learning programs, multicultural adult teaching strategies, multiple community, school, and church programs, Mother Bland touched innumerable hearts and lives through her mentorship, generosity, and wholesome brand of ongoing encouragement and support. Born in San Diego, CA to the Rev. Louis S. Goolsby and Alice Willis, Margaret lived in Bakersfield, CA, Pueblo, CO, Lincoln, NE, and Seattle, WA where she met and married Joseph Herston Bland in 1947 at Seattle’s First A. M. E. Church. She graduated from the University of Washington in Education, often saying her desire to be a teacher was something she knew strongly in her heart since age five. She and Joseph raised their family in Seattle until Margaret moved to Panorama City in Lacey, WA – her home for her final twenty-three years. Margaret Bland conversed in English, French, Spanish and kiSwahili, played the 'cello, and loved both football and soccer. She led a life of significant accomplishment and recognition-the first African-American draftsperson at the Boeing Co. working on the B-52 airplane plans during WWII, as an Underground Railroad historian whose research led her to visits in the Nova Scotia African-Canadian communities, as an author of an interactive teaching book on Kwanzaa, and as a recipient of numerous education and community service awards, including the Washington State Retired Educators Achievement Award in 2011. An accomplished poet, Margaret wrote many inspiring words for her greater Panorama community, often drawing on her love of nature and the campus’ beautiful natural surroundings as her muses. She was widely known in the Lacey area for her significant volunteer and leadership roles among which were St. Andrew’s United Methodist Church Vacation Bible School Teacher and participated in many of Panorama City’s activity clubs. Mother Bland is survived by a sister, two daughters, a son- and daughter in law, a niece, two grandchildren, and one great granddaughter. Her husband and a daughter predeceased Margaret's passing. My window opens on a changing view. Of the unseen houses on the street below. Swaying tops of tall pines beckon birds to rest awhile. In the open land space above the putting green. Then raucously fly away together. Gentle breezes ring the chimes suspended from the patio roof. All year long, on the bright nectar poured into their feeder. And the deciduous trees patiently wait for their next wardrobe change. Green for spring and summer; bright colors for fall and in winter. They disrobe in preparation for their next attire. The full moon plays peek-a-boo through pine branches. Index Cards: Please share your favorite memories, thoughts or special moments with Margaret to share with the families. Card can be taped to the board in the Fellowship Hall next to the memorial table.